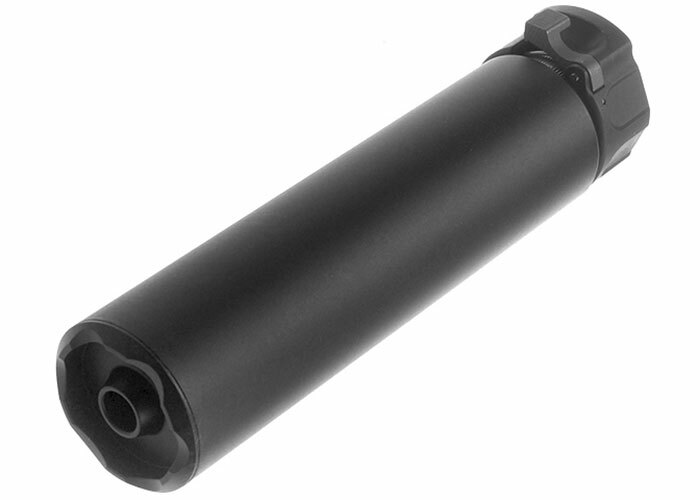 Adding a mock suppressor onto your airsoft gun is a simple and effective way to change up the theme of your weapon. The tip of the mock suppressor comes with a jagged design to stir away from a flat smoothed edge. Included with the system is a flash hider so that you can use the quick detach feature to remove the mock suppressor or attach it in seconds! The mock suppressor has a lever that is easily lockable to prevent the system from falling off. Altogether, this kit is awesome for airsoft players looking to change things up a bit.